Congresswoman Pramila Jayapal (WA-07) has toured the UW Memory and Brain Wellness Center/ ADRC and met families and community members. She writes about how these experiences inform her advocacy for increased research funding of dementia-related studies and caregiver support. In the summer of last year, I was approached by a constituent with a story that I’ve heard all too often. Mikaela Louie was born and raised in Seattle and was working abroad after completing her undergraduate program when tragedy struck. Mikaela received a call from home: her mother, only 57 years old, was diagnosed with early onset Alzheimer’s disease. As soon as possible, Mikaela came back to Seattle to help care for her mother. Within minutes, her life had changed, and her family’s journey of combating a difficult, long-term disease began. Mikaela’s story is not unique. Alzheimer’s disease is a significant public health threat nationwide and in Washington state, where it is the third leading age-adjusted cause of death. Over 110,000 Washington State residents have Alzheimer’s or other dementias. A devastating disease with no effective treatment, means of prevention or method of delayed progression, Alzheimer’s disrupts American families and our public health system. Such a challenge demands comprehensive legislative action. As your Congresswoman, I have committed myself to fighting Alzheimer’s disease by funding research efforts and providing support to those living with Alzheimer’s. Today I am proud to have co-sponsored the BOLD Infrastructure for Alzheimer’s Act, which aims to expand research and other activities related to Alzheimer’s disease, cognitive decline and brain health. I also signed on to a letter calling for support for the Missing Alzheimer’s Disease Patient Alert Program, which protects the more than 60 percent of Alzheimer’s patients who are likely to wander away from home. I also strongly supported creating a stamp whose proceeds support crucial Alzheimer’s research under the National Institutes of Health, and co-sponsored legislation to issue such a stamp. 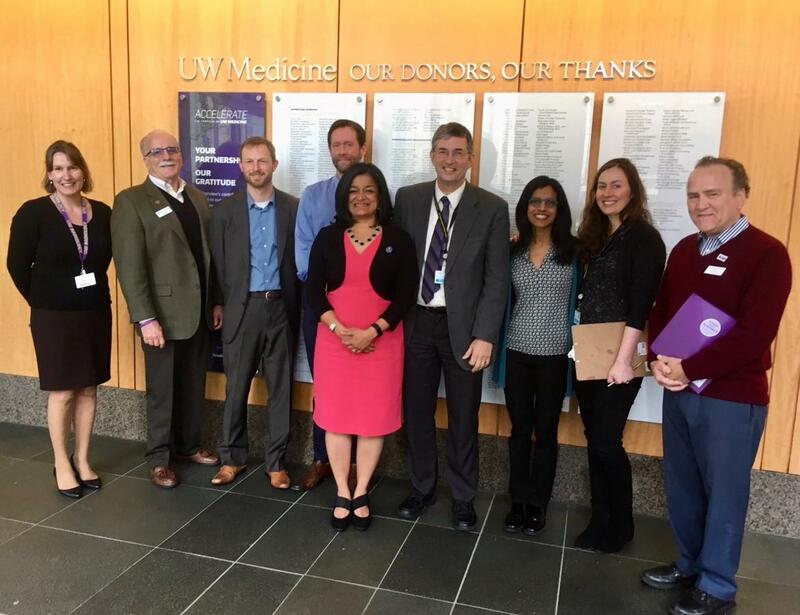 Earlier this year, I had the opportunity to tour the Alzheimer’s Disease Research Center at the University of Washington and speak with the researchers breaking ground on modern Alzheimer’s treatment. My experience underlined the need for increased research funding in dementia-related studies. During the tour, I saw firsthand the tremendous work of local researchers to develop a cure that targets the underlying molecular causes of the disease. Researchers have informed us that to find a meaningful treatment or cure by 2025, we must increase our yearly federal research spending to approximately $2 billion. That is why I recently voted for the landmark legislation that increased funding for Alzheimer’s research at the National Institute of Health to $2.3 billion annually. I am proud to represent a district that is leading in the fight against Alzheimer’s by making crucial advancements towards finding a cure. I am proud to represent a district that cares so deeply for its constituents, and I am proud to use my position to advocate for families like Mikaela’s, who are joining together every day in the fight against Alzheimer’s disease. Mikaela’s story, along with yours, has been heard. Please know that I will continue to support resources for Americans affected by Alzheimer’s disease. Together, we will find a cure and put an end to this enduring and destructive illness.